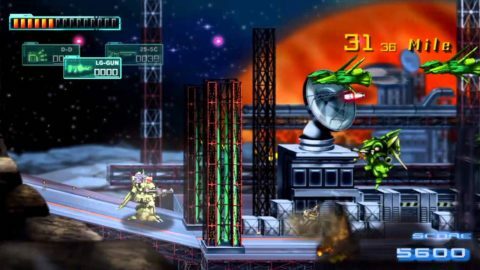 After a fair wait, the Assault Suits Leynos remake on PS4 is finally coming Westward on July 12th. I’ve already played the Japanese release and it’s not overtly great. It’s a real shame as Dracue made the excellent Gunhound but Leynos feels really vague in terms of its controls and movement. Compared to the pin-point precision expected of the player in the MegaDrive original, this PS4 remake is far more forgiving. It’s still a playable game though, unlike the PS2 version of Valken. This game is also not all that great visually either and after the amazing Leynos 2 on the Saturn, it feels like a big step back. Anyway, you’ll be able to check the game out for yourself on July 12th, so let me know what you think of it in the comments. 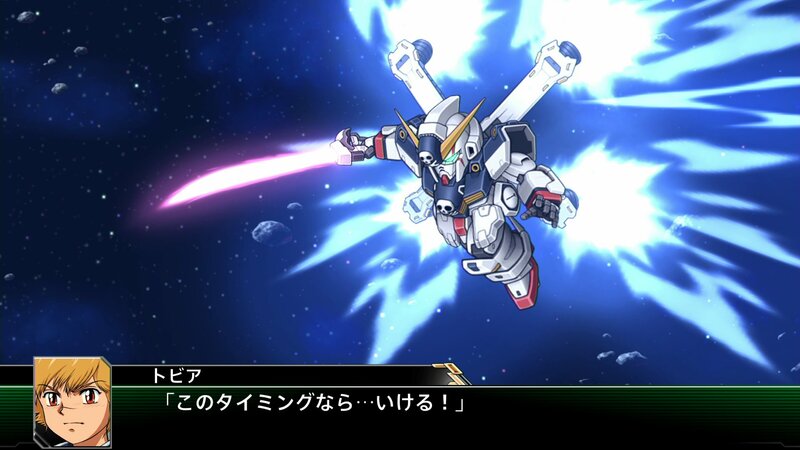 The English localised Asian release of Super Robot Wars OG The Moon Dwellers will be released on August 5th. While the Japanese version is out at the end of this month, I’ve held off on that version and have pre-ordered the Asian release. In the latest trailer (shown below) the game continues to look great and I can’t wait to finally play it. I am still in shock, albeit a rather pleasant type, that the game is getting an English version at all. The only sad point in all this is that winkysoft is no longer with us. If you haven’t already done so, you can pre-order the Asian release of the game here. Following the news that Super Robot Wars V is coming out next year on PS4 and Vita, as well as the awesome fact the game is getting a full English localization, we now have some very nice screenshots of the game to look at. The obvious weirdness in this iteration is the inclusion of Yamato 2199 but on the flipside we get Crossbone Gundam (shown above) and Hathaway’s Flash. As the game is getting an Asian release it also means Bandai Namco can bypass a lot of the licensing nonsense in the West and localize the game accordingly. 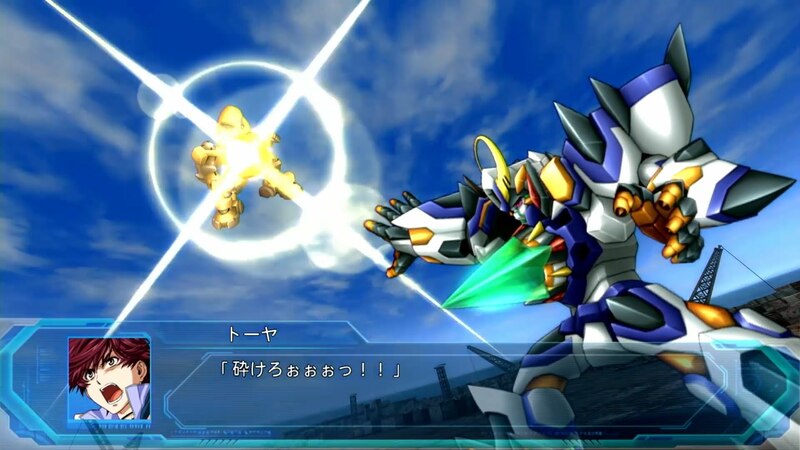 Not to mention that both the PS4 and Vita are region free, means Bandai Namco has found a wondrous loophole to bring Super Robot Wars westward. Sadly, the game is out next year so we have a fair while to wait but in the meantime you can pre-order the English release here. Along with Hawken coming to Xbox One, the game will also be released on PS4. 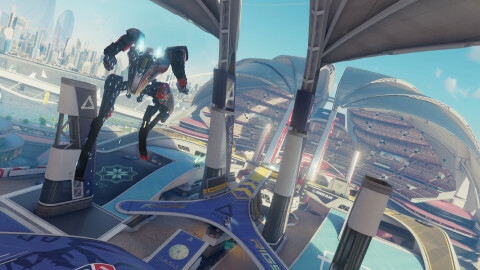 The latest trailer (shown below) also clarifies that the game will also remain free-to-play on consoles. Considering that whole monetization setup killed Hawken on PC, I had hoped they would have gone back to the game’s origins and do something more standalone. I still think the fact that Hawken wasn’t released as a straightforward downloadable arcade game on the 360 is one of the biggest missed opportunities of the last console generation. The game is now being handled by Reloaded Games and 505 Games. Thus far, they seem to be doing a better job than Meteor Entertainment did, as they pretty much killed the community through overt greed and incompetence. I feel sad for the old team at Adhesive Games though, as seeing their work resurrected like this must be difficult. 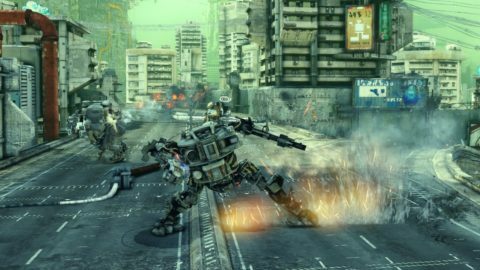 That said, Hawken is finally getting a wider release. Let’s hope that this time the game survives a bit better and finds the audience on console it so badly needs. 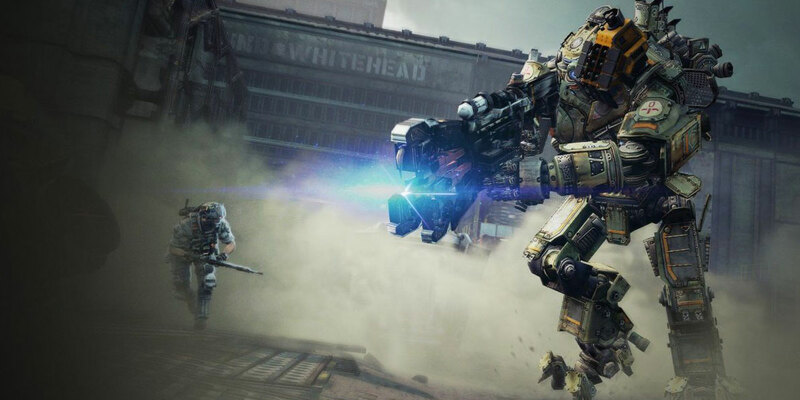 Following the first Titanfall released back in 2014, we now have an all-new and shinier Titanfall 2 on the way later this year. While the first game mostly serviced Xbros, this new game will also be coming out on PS4. The game looks good though and this time around there’s an actual proper singleplayer mode and the new grapple mechanics give me major Lost Planet 2 feels. While the singleplayer mecha setup looks interesting, in terms of narrative, the mecha themselves still look like they handle akin to people in robot suits. Admittedly, the whole “Titans aren’t mecha” hilarity is probably worth bringing up here but I know that members of Respawn read this humble site and seem to enjoy it, so it’s clear that one guy’s slightly nutty viewpoint on mecha doesn’t represent a whole studio. If I am brutally honest, while I personally enjoyed the first game, the mecha were dull to play with. This was proven out by the fact that both Call of Duty: Advanced Warfare and Black Ops III only copied the powered suit parkour from Titanfall and eschewed the mecha. It’s a shame as the Titans looks amazing but I just wish they had been more vehicular in terms of their control, rather than just feel like a slow and heavy dude. The singleplayer and multiplayer trailers are shown below and Titanfall 2 comes out this October. We now know that Super Robot Wars OG The Moon Dwellers will have its Asian version released on August 5th. This version of the game will also be localized into English, with subtitles being available throughout (though thankfully retaining the original Japanese voices). While the Japanese release will be made available on both PS3 and PS4, it seems the Asian version will only be on PS4. As winkysoft are sadly no more, this looks to be more of an in-house game at Bandai Namco. It’s looking lovely though but it’s sad to think that much of the engine gruntwork was likely down to winkysoft. You can pre-order the game here and by all means check out the English trailer for the game below. 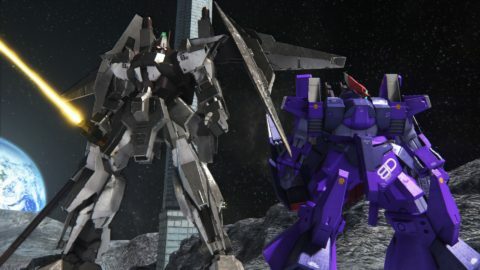 The recently released Gundam Breaker 3 is getting its first set of DLC in June. The main part of this being based around a new set of missions featuring the Hyakushiki J and Break Dias (shown above). These being obviously modified variants of the Hyakushiki and Rick Dias from Zeta Gundam. Apparently, this DLC will be based around a famous match from long ago. The good news here is that this DLC will be entirely free. The other big addition is that the 6th form of the Gundam Barbatos will also be included in another update, along with other Gunpla and extra missions. For fans in Japan there’s also a fan meeting on June 11th, so we may go to that. 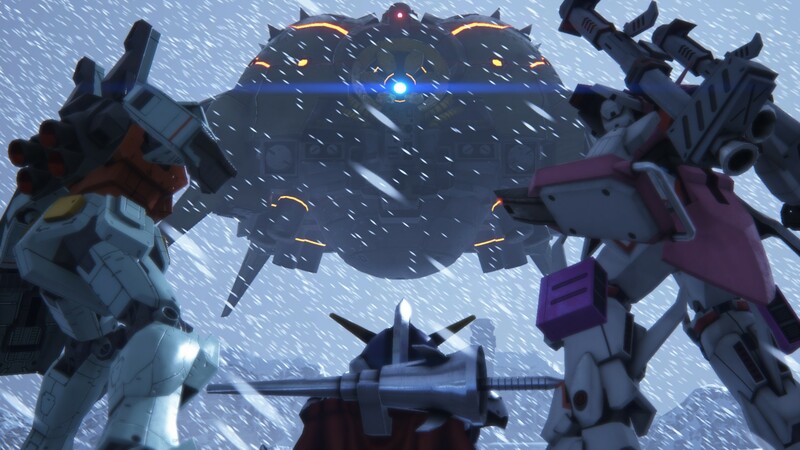 As for a review of Gundam Breaker 3, much like the previous game we got sick of the merciless grind for parts (as well as the insidious monetization attached to that). While the game is functionally excellent, the balancing is still way off for a full priced console game. However, at least this first set of DLC will be free. While we’re still not fans of the mecha design in the upcoming game game Rigs, it does look like it will be functionally good. Considering all the hype surrounding VR, much of it down to visuals rather than functionality, we’ve been pretty skeptical about how much traction it will have with gamers. 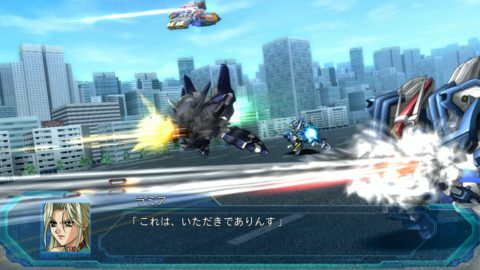 From a mecha standpoint, it could really help to make you feel that you are a pilot but much of that is also down to how the game controls. The good news here is that Rigs looks like it really understand the latter as well. With PlayStation VR out at the end of the year and for a decent price at that, we will definitely be picking Rigs up come its release. 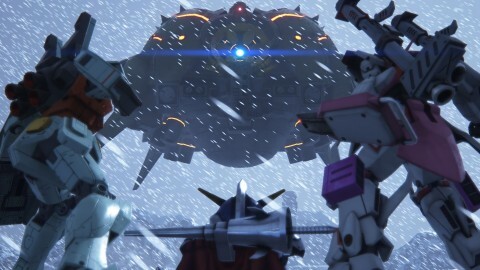 Bandai Namco have recently released the second PV to Gundam Breaker 3. This time it’s an 11 minute video showcasing the new variations of customization you can have on your mobile suits, how SD Gundams are implemented, and other game modes such as Story mode, Bounty Hunter and Challenger mode. Visually, the game is looking very nice running on the Playstation 4, especially when adding the weathering options to your mobile suit. While we still have more than a month until release, check out the video below! More details have come out regarding the story mode of Gundam Breaker 3, coming soon to the PS4 and Vita on March 3, 2016. 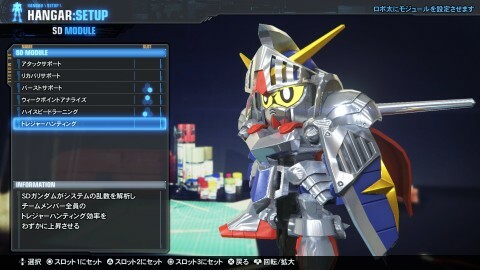 Unlike the previous story in Gundam Breaker 2 where you played part in a computer simulation, Gundam Breaker 3’s story appears to borrow a bit from Gundam Build Fighters where your team will take part in local battles that eventually culminate into your participation in the national Gundam Battle tournament. You’ll be helping your partner Misa, the daughter of a Gunpla shop owner who is looking to revive the popularity of a shopping district from her childhood by taking part in these Gundam battles. You’ll also be assisted by Robota, an autonomous Knight Gundam gunpla made specifically to aid Misa and yourself. As expected of any sequel, there are brand new units along the way as well. They are the Gyan from Mobile Suit Gundam, the Zuda from MS Igloo, the Doben Wolf from ZZ Gundam, and the Palace Athene from Zeta Gundam.